Virgil I. Grissom State Memorial. Gemini III space capsule, Spring Mill State park, Mitchell, Indiana. 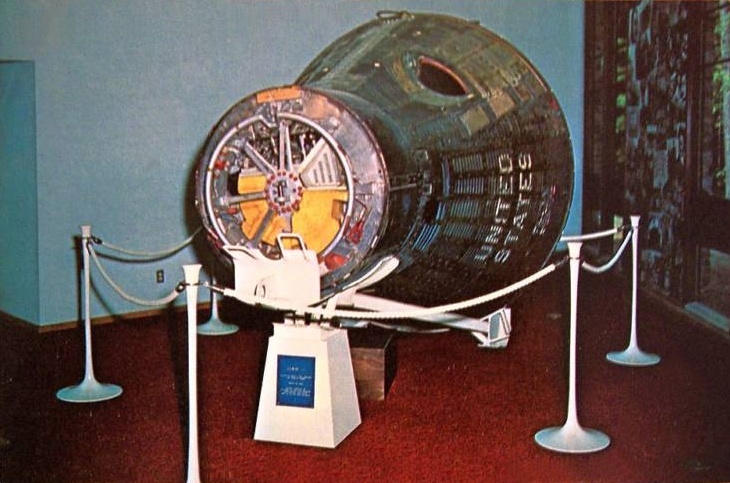 This is the Gemini III Capsule in which Virgil I. Grissom and John Young orbited the earth three times on March 23, 1965. It weighs 2500 pounds with a weight of 3000 pounds when ready for flight. The Grissom Memorial has been renovated at least twice since this photo was taken.